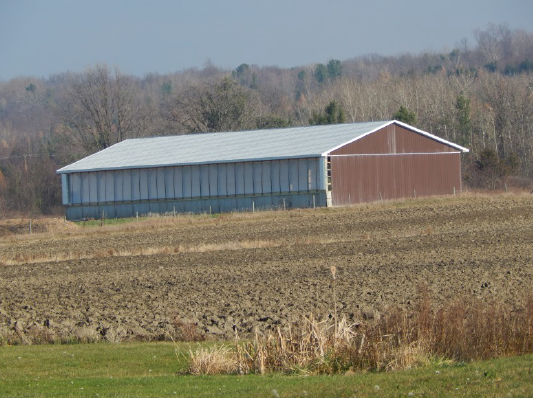 The unique demonstration project was partially cost shared with New York State Agricultural Nonpoint Source funds. 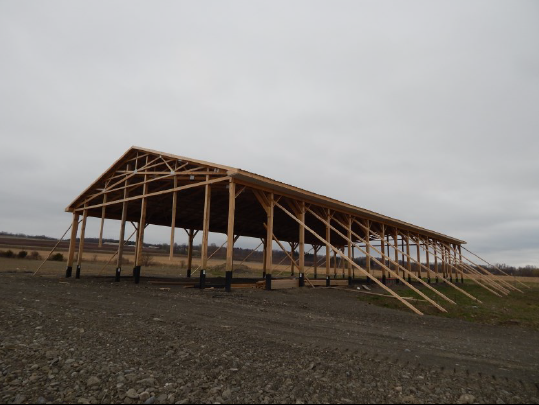 This project allowed for two demonstration composting facilities to be constructed on vineyards in Schuyler County. 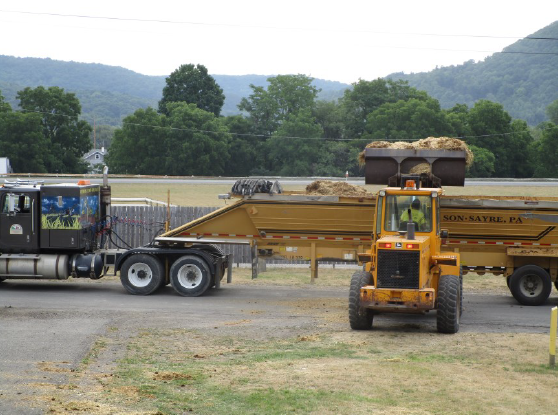 The idea of the grant is to utilize horse manure from the Chemung County Fair grounds to aid in the composting of grape pomace. Working jointly with Chemung County Soil and Water Conservation District, Schuyler SWCD was able to utilize their tractor to haul our jointly owned flow boy trailer. 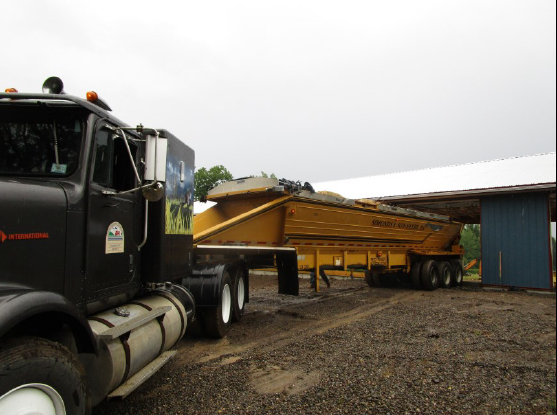 This helps to remove nutrients from the Upper Susquehanna Watershed and allow them to be utilized where needed on the vineyard land in Schuyler County. This essentially takes two waste products and turns it into a much needed commodity. Not only are nutrients provided to the vineyard land but much needed organic matter is also provided to the soil. ​The first of two demonstration projects finished construction this fall. This unique project will aid in the covered composting of winery pumice, an agricultural waste by-product from making wine. The pumice will be composted by combining it with horse manure. The final product will then be applied back on the vineyard and replace much of the need for commercial fertilizers on that acreage. More importantly this product will aid in the increase of organic matter to the precious vineyard soil. 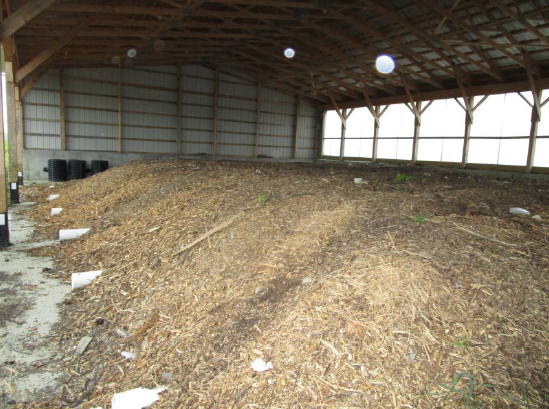 All compost-ed materials will be applied according to a nutrient management plan, taking into account nutrients available in the soil and crop uptake needs.